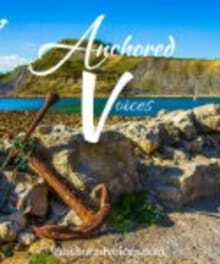 Anchored Voices is a collaborative blog founded by Chara Donahue where Christians can use their words and creativity to point each other to the God who cares. It was conceived to foster a hope-filled community where we can remind one another that when the waves of life hit—in Jesus, the soul is safe. You can read more from them at AnchoredVoices.com. Being an adult in this current world can feel burdensome at times. No longer are we graced with the carefree days of running amuck with the neighborhood kids, or squealing with delight as games of tag or backyard baseball are played. Those days are often replaced with big daunting tasks that come at us, crippling us, creating fear or anxiety, panic, or a depressed feeling. Big things like job losses, tax troubles, parenting heartache or uncertainty, friendship woes, marital relationships in the trenches or failing, and when these trials come, we can often be left feeling helpless, inadequate, unsure of the next step or unwilling to take that next step because it just feels too easy to fall. Often my first solution can be to talk. I’m a verbal processor so I just want to talk with anyone and everyone about what situation is going on in my life. Talk to my best friends – they’ll comfort me, hug me, let me cry, and give me encouragement. Talk to my husband – he’ll try to offer a solution because solutions and resolution come so naturally to him. Talk to my dad – he’ll offer me wisdom and advice because so much has happened in his life that is mirrored in my own so he’s likely been there. Sometimes my first solution is to just put my head down, pull up my boot straps and start at it to just get through the daunting, overwhelming life task at hand because I’m a hardworker and just like to get things done. I’m a bandaid ripper; just do it and get it over with. So often, that’s my mindset. Not often enough is my first solution to pause and pray. Yet when I read the Bible, so frequently I am shown that prayer and even fasting (voluntarily abstaining from eating while devoting time to prayer or reading the Bible) is the first and best solution for many of those men and women. 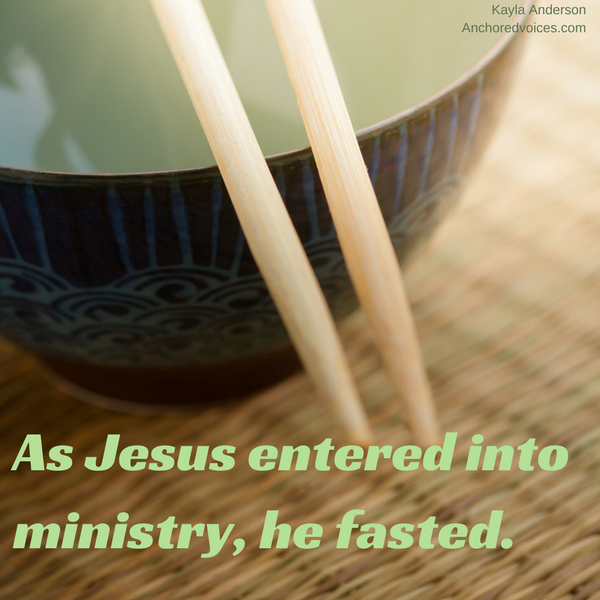 As Jesus himself was entering into ministry, he fasted. Jesus was referring to fasting, relying less on himself and his solutions but relying more on God. I remember spending a few days as a youth group attendee doing some preset fasting as a group but never in my adult life have I devoted a day to fasting. Not because I don’t know the Biblical principle of fasting or because I don’t want to – that just honestly isn’t something my mind is trained to think about. Do you know what Esther’s first solution to this huge life task was? It wasn’t to immediately talk it out with friends, her husband (the king), or even Mordecai, her family. It wasn’t to just pull up her bootstraps or attempt to just jump in and try to save the Jews with her own wisdom and judgment. Esther’s first solution was to pray and fast. I am challenged and encouraged to make my next “first solution” to a big life task to spend time in prayer via fasting. To take the Esther approach. The Moses approach (Exodus 34:28). The Jesus approach. To make my life one that is not relying on bread alone but fully relying on God.